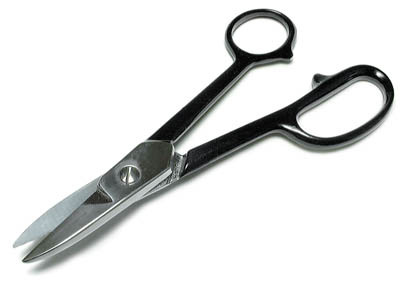 Lightweight cutting shears have curved blades. Cut templates or patterns from medium-hard metal up to B&S #20, or soft sheet to B&S #16. 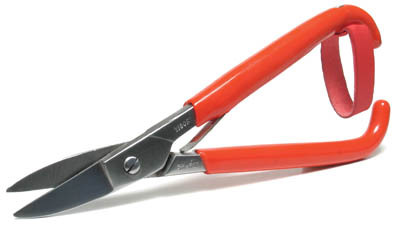 7" long, 1-1/2" cutters. Return springs in handle. Made in Germany. Limited quantity available. 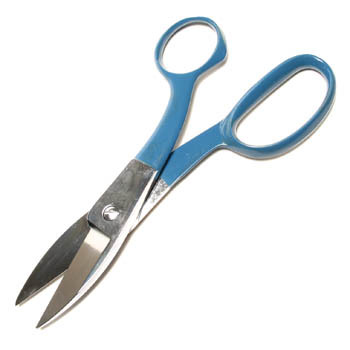 Cut templates or patterns from medium-hard metal up to B&S #20, or soft sheet to B&S #16. 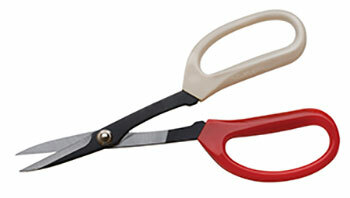 Lightweight cutting shears have 1-1/2" curved blades. Return springs in handle. Overall 7" long. Made in Germany. 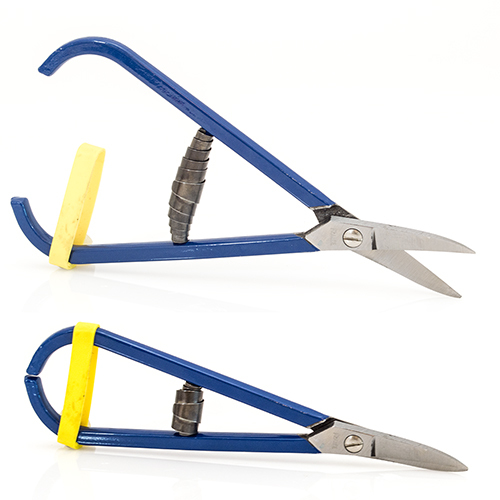 Closeout - Limited quantity available.